Armed with an MBA and a multitude of media relations experience, Nicole Candler launched Nic Creative Public Relations in 2006. Based in Louisville, Kentucky, Nic Creative perfectly employs Nicole’s wide range of communications expertise in strategic campaign development, media relations, fundraising, and public affairs. 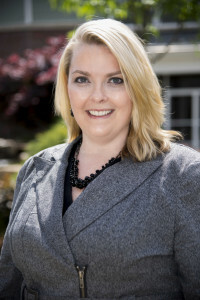 As Marketing & Communications Manager for the American Cancer Society’s Kentucky ACTION and Smoke Free Louisville initiatives, she led communication and media relations for special interest campaigns, helping to create smoke-free workplaces and increase the tobacco excise tax. In a fundraising and marketing role with The Leukemia & Lymphoma Society, she developed and coordinated special events and promotions while also adding nearly $200,000 to the organization’s annual revenue. Over the course of her career, Nicole has become an expert in nearly every facet of public affairs and media relations. The multi-industry contacts she has acquired puts nearly any marketing need just a phone call away. In July 2008, Nicole put her PR skills to the test and received her Accreditation in Public Relations from the Universal Accreditation Board. A year later, she was named among the Ad Federation of Louisville’s Hot 10 award recipients.